Mobility is all about giving our internal clients choice and control over how they work and where. At its core is a “mobile–first” wireless infrastructure and WAN services optimized to reliably deliver high quality voice, video and fast file copies for our marketing and design teams. It also provides the ability to support nomadic workers and realize the savings of working in a smaller space that costs less per square foot but doesn’t negatively impact productivity. The move to Skype for Business versus traditional phones untethered team members from their desks, reducing clutter and making it easy to work anywhere. Eliminating hardware PBX solutions also saved significant money for the dealership in direct IT costs for maintenance, PRI circuits and service contracts, in addition to requiring fewer switch ports and physical cabling in our buildings. Simplicity as a technical design concept focuses on the “UX / User eXperience” by implementing solutions that are predictable and consistent throughout our space. 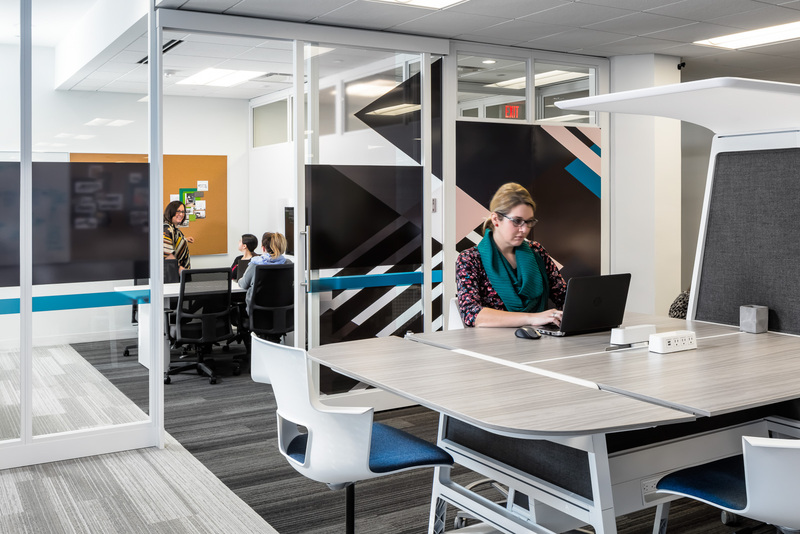 In collaboration space design, this required a focus on fewer options, but making the design as intuitive and automatic as possible. Eliminating “control panels” in favor of “when you connect it, things just happen” automation made rooms simpler to use and leveraging Skype for Business as a standard collaboration tool for individual or group meetings of any size means users can focus on becoming proficient with a single versatile tool rather than many specialized solutions. Credibility is the last, but in my opinion, most important element of this strategy. In terms of our space design, any bit of technology installed must be justified within the context of meeting our own business needs – we don’t show things that don’t get used and don’t have a genuine value to our business that can be explained and shared. If our applications of technology and space are credible, it elevates our credibility with clients, and then not only do we make thought-provoking investments that are easy to explain, but we also show we are smart with managing our resources. It’s also important to build credibility with our end-users; if they don’t trust our technology, it’s impossible to be credible with our customers, so we need to listen and adapt quickly when necessary.